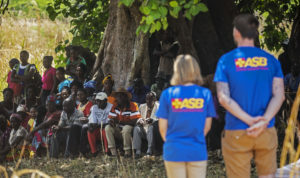 Amatheon Agri is further strengthening its partnership with the German Arbeiter-Samariter Bund (ASB) in Zambia, to improve the delivery of health services to families and communities in Mumbwa District. As part of the newly established health initiative between Amatheon, ASB and other high-ranking German companies, a 7-person delegation from ASB flew to Zambia for a two week visit in October, staying on Amatheon Agri’s farm and organizing a variety of workshops and trainings for district medical personnel. With the overall aim of helping to improve the rural health care, facilities and services, the five doctors and two technicians were able to efficiently deliver not only Infection Prevention Control (IPC) trainings to local health staff but also to support maintenance work at four health facilities. Especially in geographically isolated areas, accessible and hygienic health facilities are crucial. The proper maintenance of such facilities, adequate infection prevention measurements and skilled staff go hand-in-hand to minimize the risk of infectious diseases spreading. As a result, the work of the ASB Team included the reparation of hand pumps and water pipes, as well as the resettlement of a large swarm of wasps from the waiting area of one of the health centers. A workshop about the correct use of an incinerator for medical waste was held to train the staff responsible. 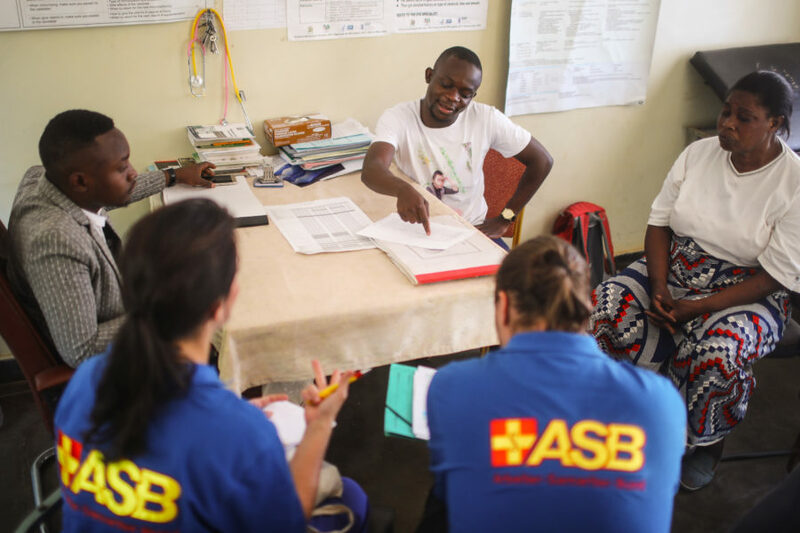 At the same time, teamwork between local health staff, Amatheon and ASB was emphasized to concurrently use spillover effects of learning and to combine experience and expertise from a variety of backgrounds. Moreover, ASB together with Amatheon met the community health volunteers to hand-over urgently needed bicycles for health volunteers to provide services in areas that are not accessible with vehicles. Both volunteers and local staff highlighted the value of such health trainings and the need of an implemented Integrated Management of Childhood Illness (IMCI) System. George Mukwalantila, a registered nurse at Kafwikamo Health Post in Mumbwa, emphasized the collaboration between Amatheon and ASB as a fruitful partnership for all involved and is looking forward to further ASB delegation visiting in the near future.